At NSS we offer a complete building fabric maintenance service. 24/7/365. Planned or reactive. Anywhere in the UK. Yet it’s how we respond that defines us. With a laser-like focus on meeting your needs, we act quickly and safely, sending highly skilled, highly experienced professionals to the scene. We can also call on everything we need in-house, meaning you can count on consistent workmanship and a rapid response. Eradicating the need for sub-contractors or hire equipment. Over the years, we’ve built an unrivalled reputation for lasting client relationships – all based on exceptional performance. With a proven record for reliability and continual improvement, it’s little wonder so many blue chip companies trust us to look after their buildings. Whatever the shape and size of your banner or building signage, we’re experts at installing it. Our banner teams aren’t just fully equipped to install a wide range of advertising media. They can install your banner or signage just about anywhere on a building or structure. 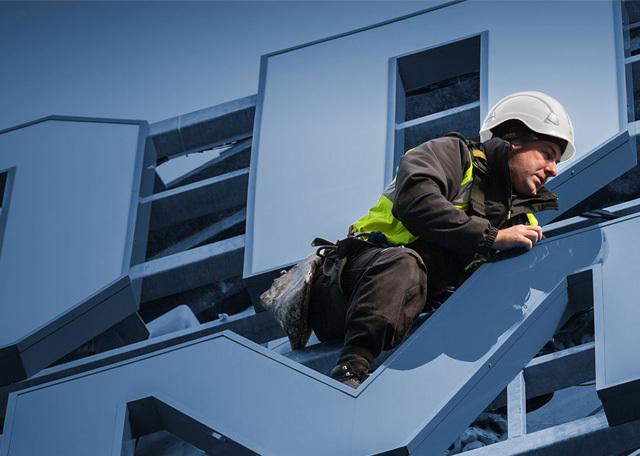 Depending on the type of installation and site conditions, we’ll either use rope access, our own truck-mounted access platforms or temporary cradle systems. To help avoid disrupting your day-to-day operations, we can even fit banners at night.